The Moen II collection delivers Moen performance and reliability with a simple, understated appeal. Bringing a refreshed, stylish look to any kitchen space, the Align Single Handle Bar Faucet will welcome a modern feel to your home. Boasting simple lines for a sleek, elegant look, this kitchen faucet features a pull-down wand that includes both aerated stream and powerful rinse options to deliver instant functionality and style. A special reflex function delivers easy maneuverability and secure self-retraction. It boasts a beautiful polished chrome finish that provides a highly-reflective, mirror-like shine to complement your space. From intimate galley kitchens to large gourmet workstations, the Align series of faucets from MOEN brings a refreshed, modern look to your home. Simple lines on the Align Single-Handle Kitchen Faucet create its contemporary style, while the coordinating side sprayer delivers whole-sink cleaning functionality. This model's quick-connect design makes installation a breeze, while the gracefully curved spout provides generous space for everyday washing tasks. 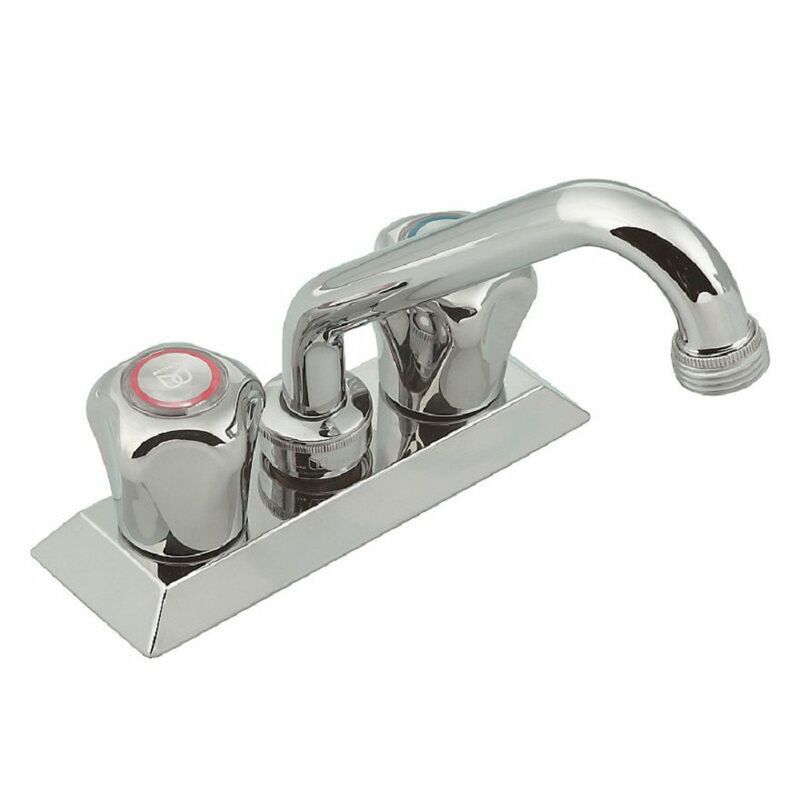 Moen II Chrome Two-Handle Low Arc Centreset Laundry Faucet The Moen II collection delivers Moen performance and reliability with a simple, understated appeal.